Kerisik is a coconut base ingredient found in Malaysian local cuisines. Fresh coconut is grated, toasted, and pounded to form a sprinkle or paste. It is used mainly in curries and salads to provide body and flavor. 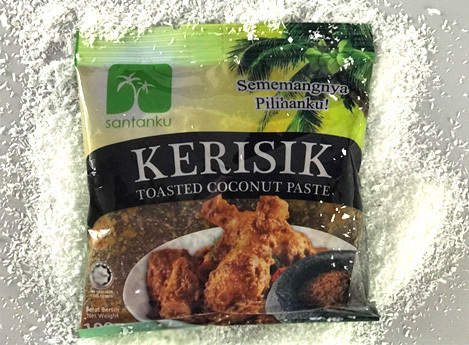 Santanku kerisik is made from the finest ingredients to give you the best aroma and taste.